Kōchi Prefecture (高知県, Kōchi-ken) is a prefecture of Japan located on the south coast of Shikoku. The capital is the city of Kōchi. Prior to the Meiji Restoration, Kōchi was known as Tosa Province and was controlled by the Chōsokabe clan in the Sengoku period and the Yamauchi clan during the Edo period. 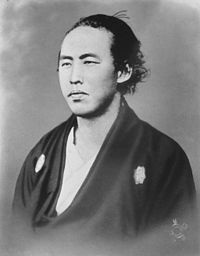 Kōchi City is also the birthplace of noted revolutionary Sakamoto Ryōma. Kōchi Prefecture comprises the southwestern part of the island of Shikoku, facing the Pacific Ocean. It is bordered by Ehime to the north-west and Tokushima to the north-east. It is the largest but least populous of Shikoku's four prefectures. Most of the province is mountainous, and in only a few areas such as around Kōchi and Nakamura is there a coastal plain. Kōchi is famous for its many rivers. Inamura-yama in Tosa-cho is the highest peak in Kōchi prefecture with an altitude of 1,506 meters above sea level. As of April 1, 2012, 7% of the total land area of the prefecture was designated as Natural Parks, namely the Ashizuri-Uwakai National Park; Ishizuchi, Muroto-Anan Kaigan, and Tsurugisan Quasi-National Parks; and eighteen Prefectural Natural Parks. The 2013 movie Hospitality Department (Kencho Omotenashi Ka) is set in Kōchi. The film shows views of Kōchi Prefecture. The 2009 movie The Harimaya Bridge starring Danny Glover was set in Kochi. Like most areas of Japan, Kōchi advertises itself as specialising in a major food item, in this case, Katsuo no Tataki. Katsuo no Tataki is Skipjack Tuna or Bonito, lightly seared. Traditionally this is done over the straw generated as a by-product of the rice harvest. Yosakoi Festival - Yosakoi (よさこい) is a unique style of dance that originated in Japan and that is performed at festivals and events all over the country. The sports teams listed below are based in Kōchi. ^ Nussbaum, Louis-Frédéric. (2005). "Kōchi prefecture" in Japan Encyclopedia, p. 538, p. 538, at Google Books. ^ Nussbaum, "Kōchi" at p. 538, p. 538, at Google Books. ^ Nussbaum, "Provinces and prefectures" at p. 780, p. 780, at Google Books. ^ "General overview of area figures for Natural Parks by prefecture" (PDF). Ministry of the Environment. Retrieved 19 August 2012. ^ "Yukiyo Teramoto Makes Short Insert Anime for "Prefectural Office Hospitality Department: The Movie" - Tokyo Otaku Mode News". otakumode.com. ^ Matt Alt; Hiroko Yoda; Melinda Joe (27 March 2012). Frommer's? Japan Day by Day. John Wiley & Sons. p. 532. ISBN 978-0-470-90826-6. ^ Iris-Aya Laemmerhirt (March 2014). Embracing Differences: Transnational Cultural Flows between Japan and the United States. transcript Verlag. p. 254. ISBN 978-3-8394-2600-5.